High-level Eritrean delegation arrives in Ethiopia for talks on ending the decades-old conflict between the two countries. 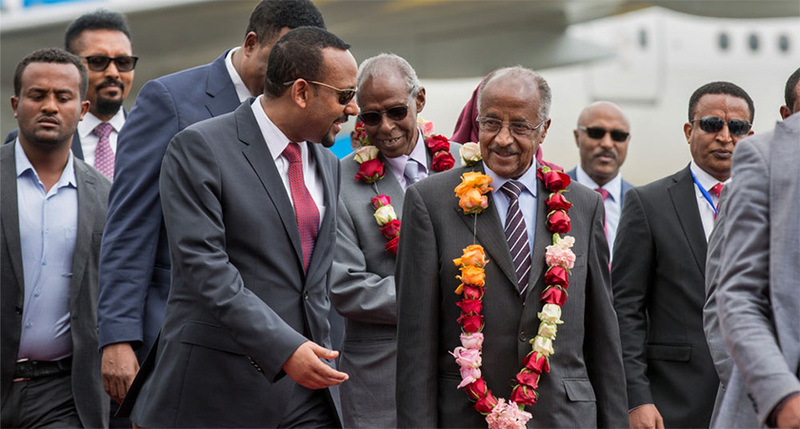 A high-level Eritrean delegation led by foreign minister Osman Saleh arrived in the Ethiopian capital, Addis Ababa for talks on ending the decades-long conflict between the two countries. 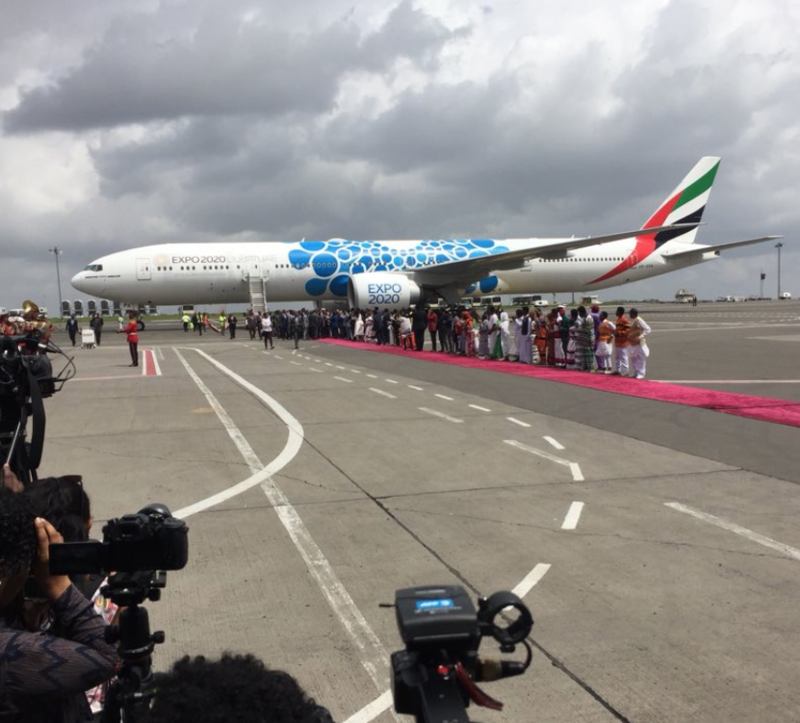 The delegation – which was received by Ethiopian Prime Minister Abiy Ahmed on Tuesday – also included Eritrean President Isaias Afwerki’s right-hand man Yemane Gebreab. The visit comes a week after President Afwerki said the East African country would dispatch a delegation to Addis Ababa to “gauge current development” in the region. “We will send a delegation [ to Addis Ababa] to gauge current developments directly and in depth as well as to chart out a plan for continuous future action,” he said. Earlier this month, Ethiopia’s new Prime Minister Abiy Ahmed said Addis Ababa would fully accept and implement the terms of a peace agreement between the countries. “We are fully committed to reconcile with our Eritrean brothers and sisters and extend an invitation to the Eritrean government to start a dialogue and establish rapport,” Abiy told parliament earlier this month. Eritrea, which comprised of Ethiopia’s only access to the sea, broke off from its larger neighbour in 1993 leaving Addis Ababa landlocked. “This visit is very significant and when the agreement is fully implemented it will mean the people of the two countries can finally have friendly relations. It will also improve the security of the region. The proxy wars between the two countries will also end,” Abebe told Al Jazeera. “The outcome will be felt not just in the disputed territories but across East Africa. The implementation of the agreement might also lead to political reforms in Eritrea,” he added. For the first time since the start of the conflict, the Eritrean flag hung side-by-side with Ethiopia’s on the streets in downtown Addis Ababa on Tuesday. Sipping an espresso in a coffee shop in downtown Addis Ababa, local journalist Yonas Abraham said the peace talks have been long overdue. “I’m Ethiopian. My family is Eritrean, so when the war started they were deported. I remained in Addis Ababa,” Yonas told Al Jazeera. “I missed my fathers funeral because I could not go to Eritrea. I have not seen my family for 20 years,” the 40-year-old said, with his brother, the only family member he has left in Ethiopia, sitting beside him. “There are no words to describe what happened to our family. We suffered greatly. We lost everything,” he said. The brothers say they cannot wait for the two countries to normalize their relations. “As soon as the door opens, we will both go to Eritrea to reunite with our family. We miss them a lot,” Yonas, the elder of the two brothers said.